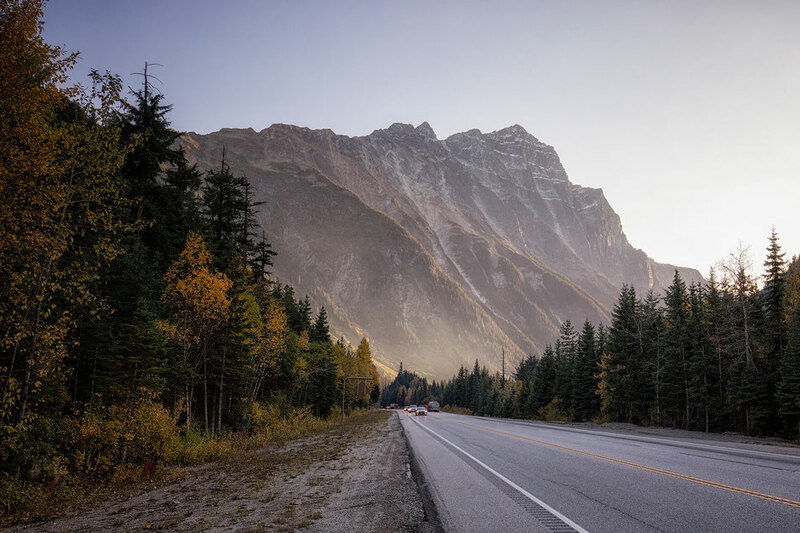 If you’ve read anything about the Canadian Rockies, or for the whole of Canada for that matter, it’s probably about Banff National Park but what if I told you that Banff is just a small drop in an ocean of awesomeness that can be found here? This article, part of my larger Canada Travel Guide, took 14 months of research. 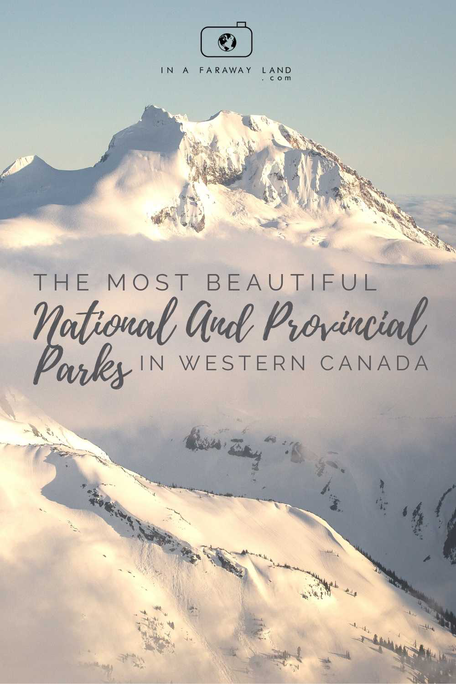 I’ve done my fair share of exploring and compiled a list of my favorite National and Provincial Parks of Western Canada, which goes beyond Banff National Park. 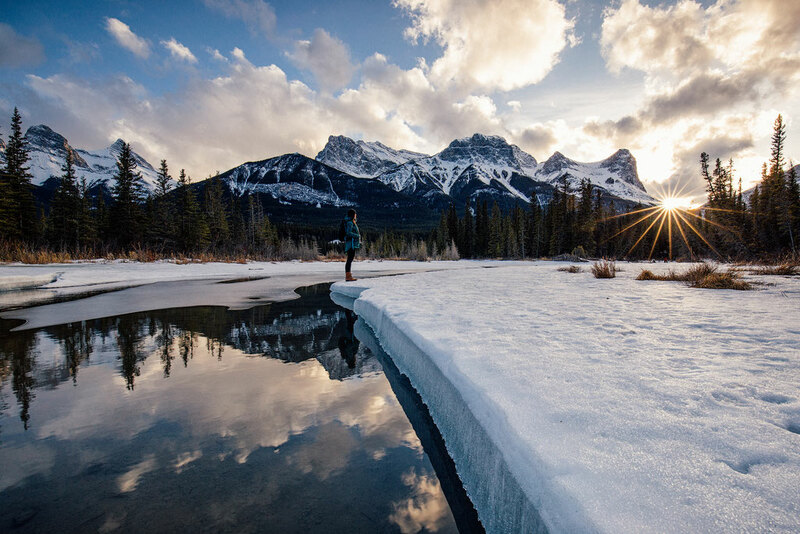 Thanks to hundreds of years of word-of-mouth marketing, Banff NP has certainly risen to fame. However with fame come negative aspects, such as crowds! 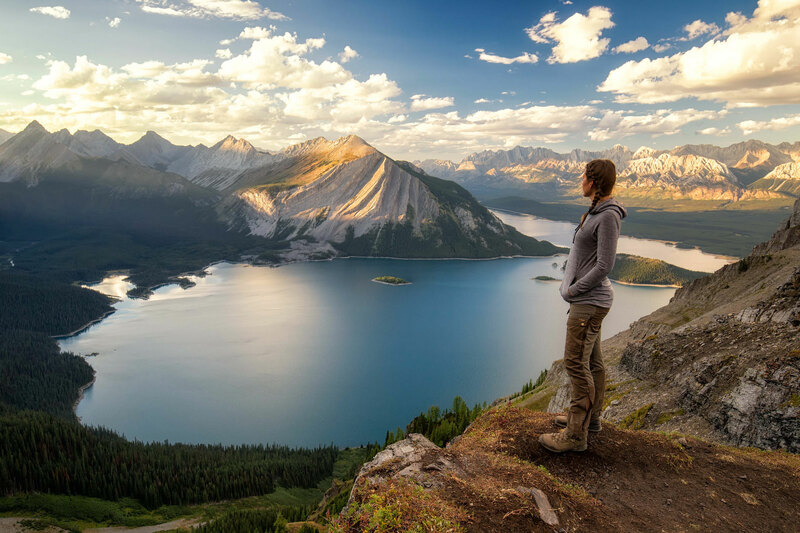 Before you plan your road trip to the Canadian Rockies ask yourself: how much do I value serenity? 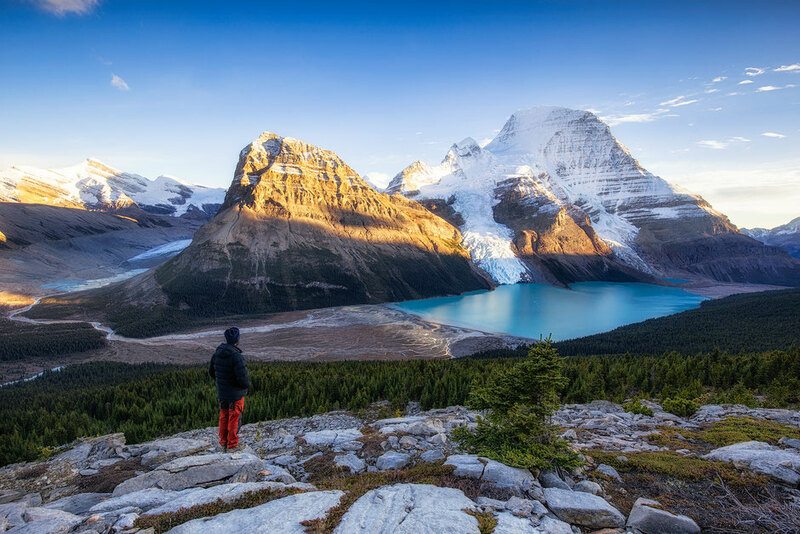 Icefields, mountains, waterfalls and wildlife can be found all over Canada not just in Banff National Park. In the summer Banff gets extremely busy. The most popular hotels are booked out a year in advance and some touristy spots are like an Apple Store on iPhone release day. Probably not what you had in mind, am I right? 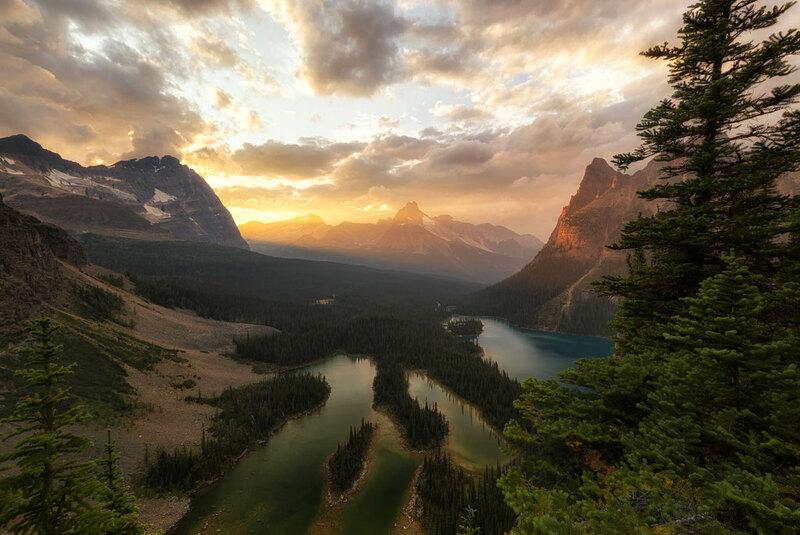 Before I start I'd like to say that I am not trying to convince you not to visit Banff National Park, but rather educate you about other parks that you should visit as well. Especially if you are after off the beaten path experience! 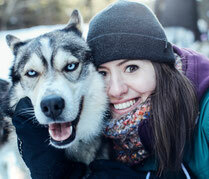 All of my Canadian Rockies Travel Itineraries stop in Banff. 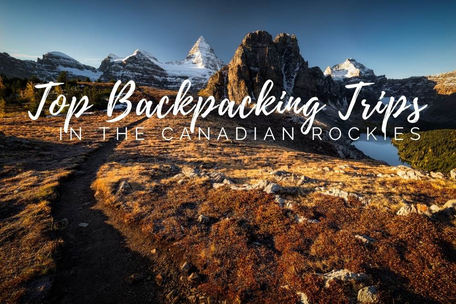 It simply cannot be missed, but they also include lots of other parks that are just as noteworthy and even more unique. 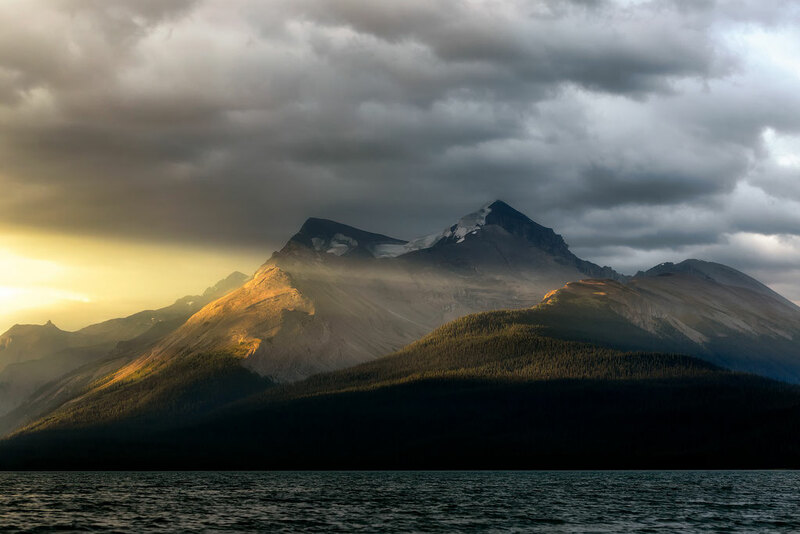 Cree, one of the many languages spoken by first nation communities in the Canadian Rockies, has the word Yoho in its vocabulary. It translates to “Awe” or “Wonder” which makes sense as it describes the park to a tee. 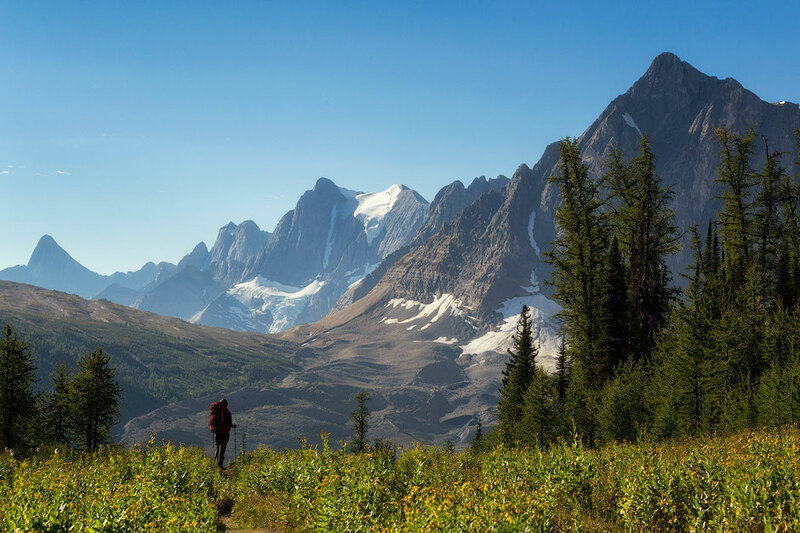 After Banff, and joint with Glacier NP, Yoho is Canada’s second oldest national park. It was formed in 1886. Its eastern border marks the divide between Alberta and British Columbia. In 2003, 5 lightning strikes started 5 fires in Kootenay National Park. They grew, eventually combining, into one of the biggest wildfires the Canadian Rockies have ever seen. It ultimately destroyed 17,000 hectares of land. Although a recent fire in 2017 did take place, the area is mostly still rejuvenating. Fauna and Flora are thriving and the burnt area is going to be prime grizzly bear habitat from 2018. 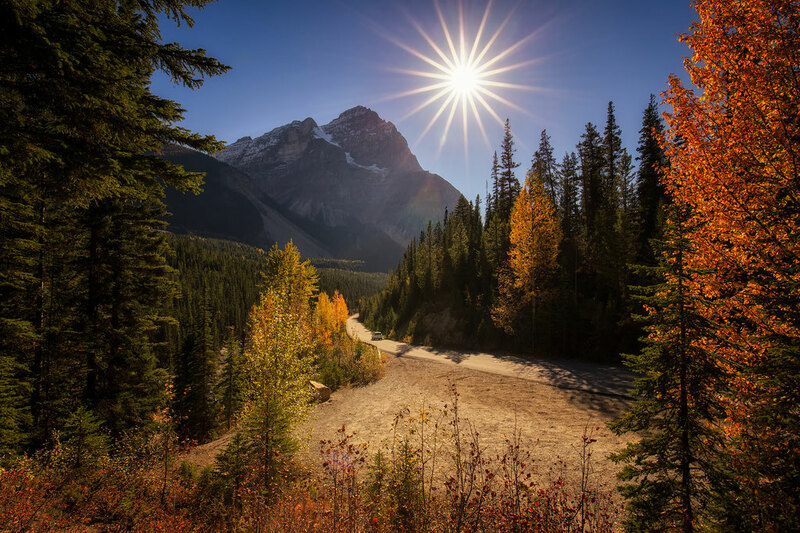 Kananaskis Country isn’t strictly a park but more a collection of provincial parks, lying south of Banff, just west of Calgary. They used to be within the boundary of Banff National Park until it’s reduction in size in the early 20th century. 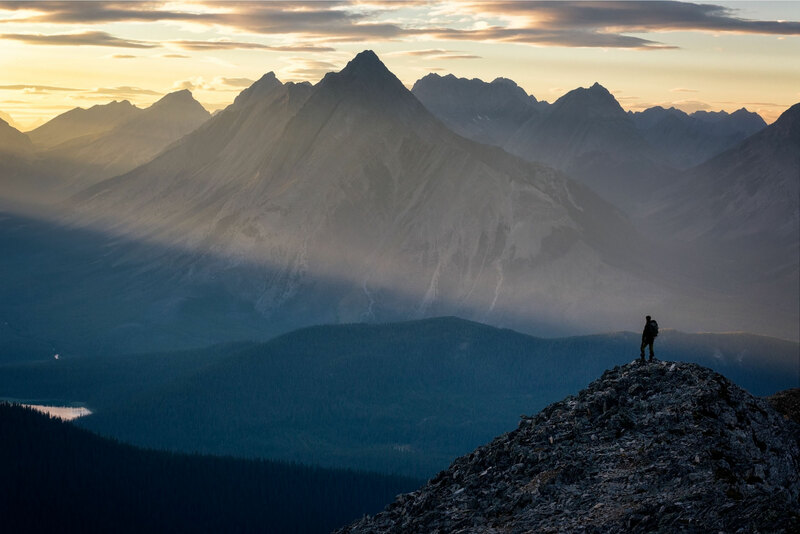 These mountains are known as the foothills and front ranges of the Canadian Rockies and are my personal favourite hiking destination. 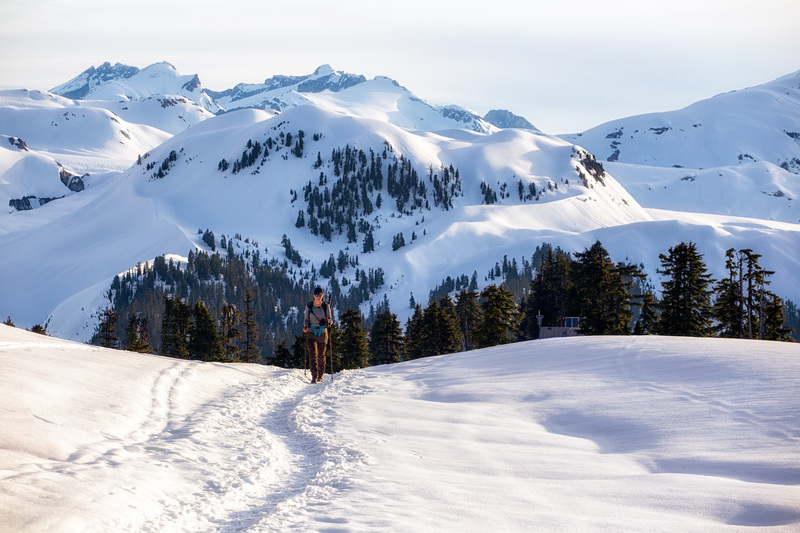 Overlooked by many international tourist, the trails are quiet, the wildlife abundant and the skiing conditions, world class. 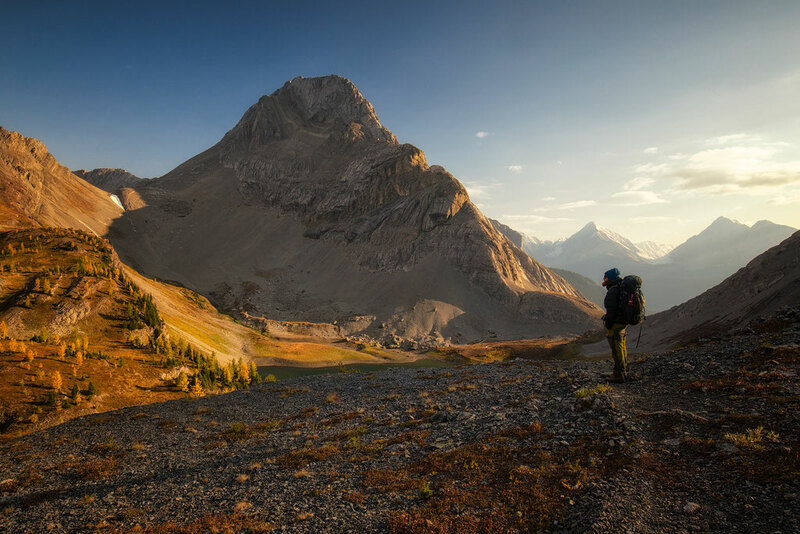 Hikes in Kananaskis Country . 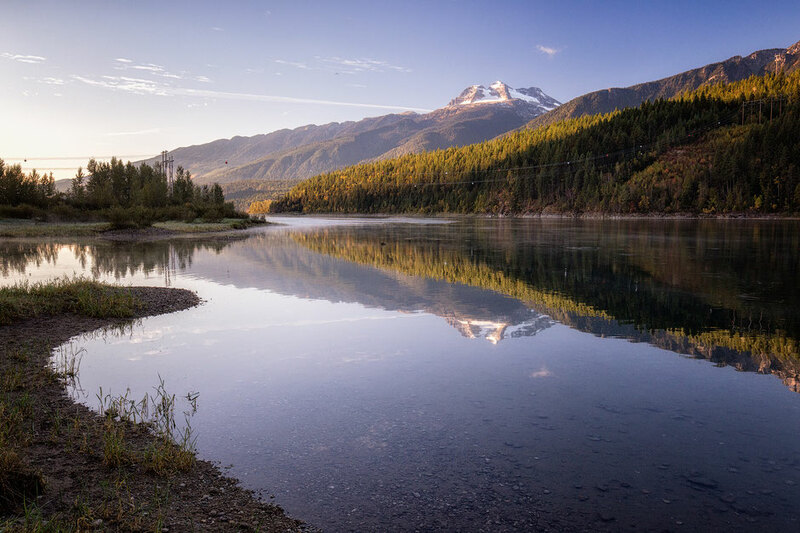 One of the smallest national parks in the Canadian Rockies, Mount Revelstoke still hosts lots to do for the budding adventurer. Initially, to enter the park, the curved Meadow in the Sky Parkway has to be driven. It’s a popular spot to view muskrats, beavers along the creeks and bears foraging in the woods. 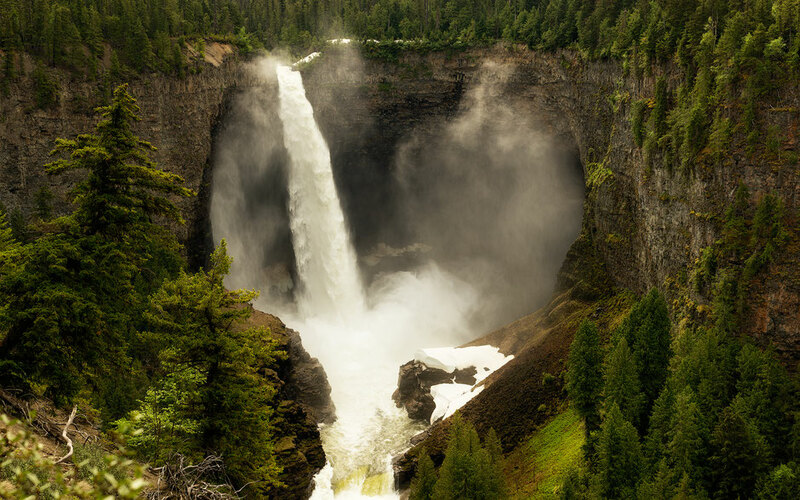 The park that I would consider most famous for waterfalls, Wells Gray covers an expansive area in interior British Columbia. 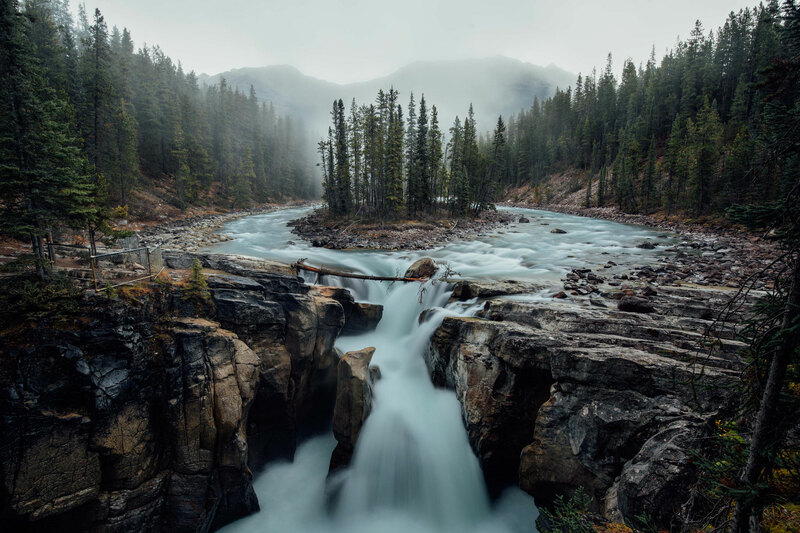 Self named by the Minister of Lands in the mid 1930’s, Arthur Wellesley Wells dedicated most of the catchment area of the Clearwater River to a provincial park, making it the 4th biggest provincial park in BC. 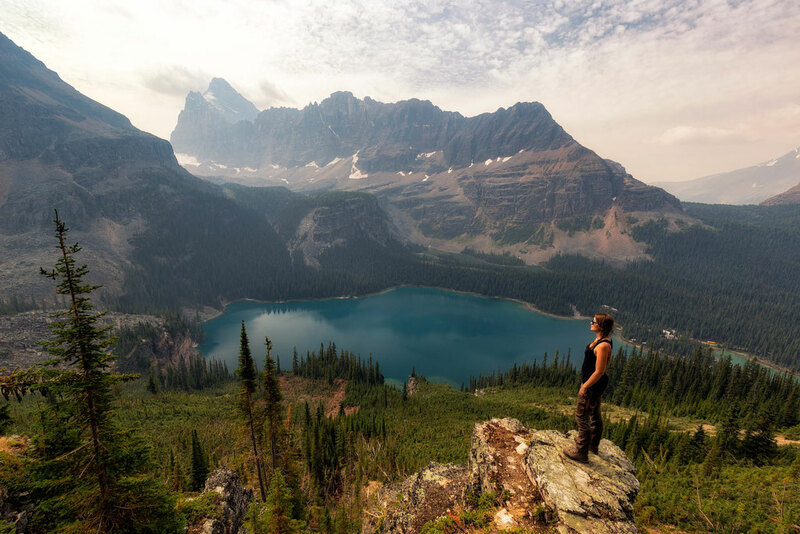 Not to be confused with Glacier National Park in the US, Canada’s version is 24 years older. 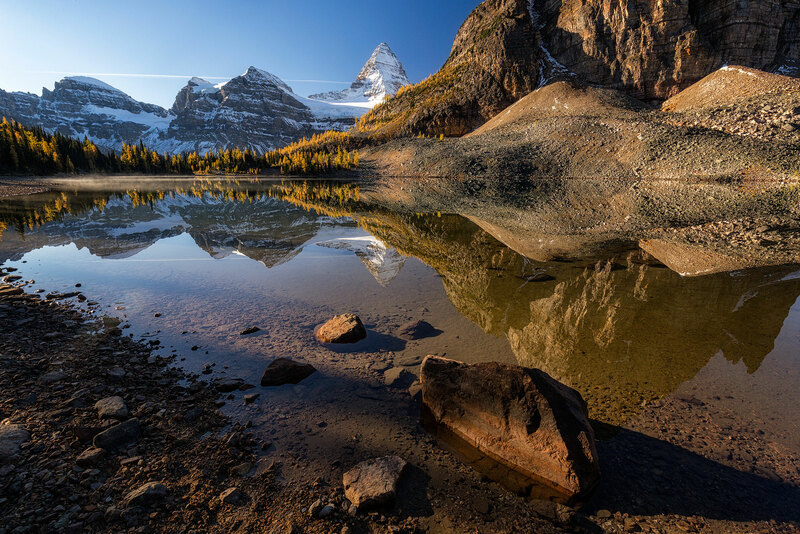 It’s one of the 7 Canadian Rocky Mountain Parks that make up the UNESCO World Heritage Site established in 1984. 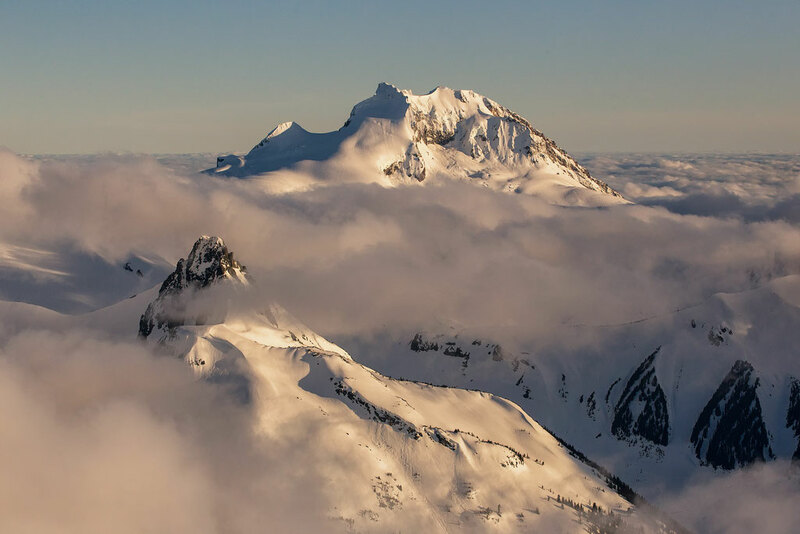 The region is famous for heavy snowfall which draws lots of adventure skiers and snowboarders. 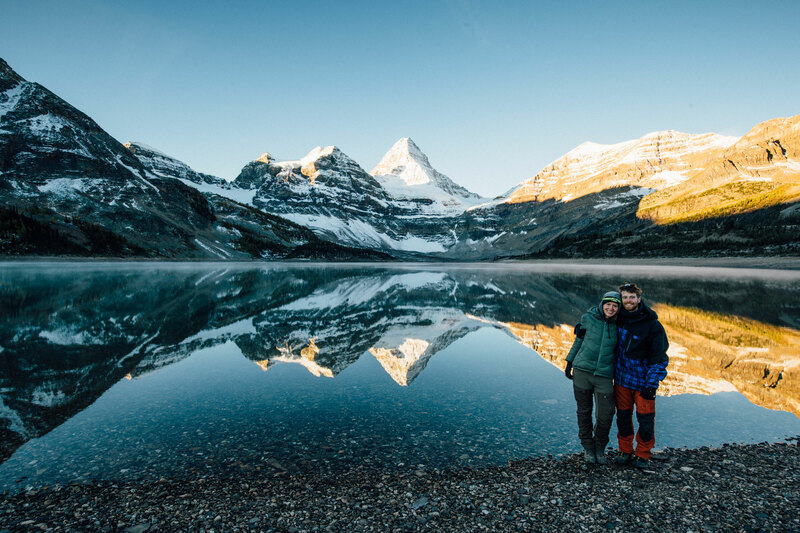 Home to the highest mountain in the Canadian Rockies, Mount Robson stands tall at 3,954m. 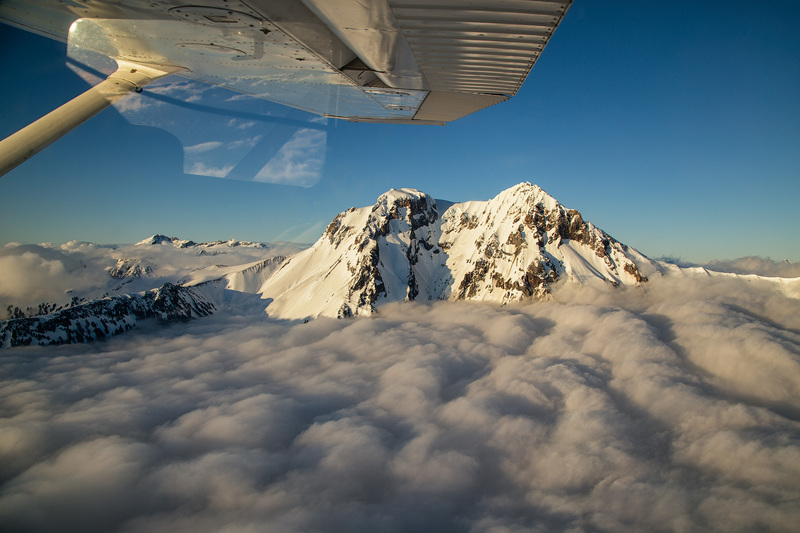 It’s first ascent was in 1913 by alpinist Konrad Kain. The year also marks the time the park was created. The Berg Lake Trail, offers unparalleled views of Mount Robson and is one of the many fantastic multi-day backcountry trips in the Canadian Rockies, I have completed. 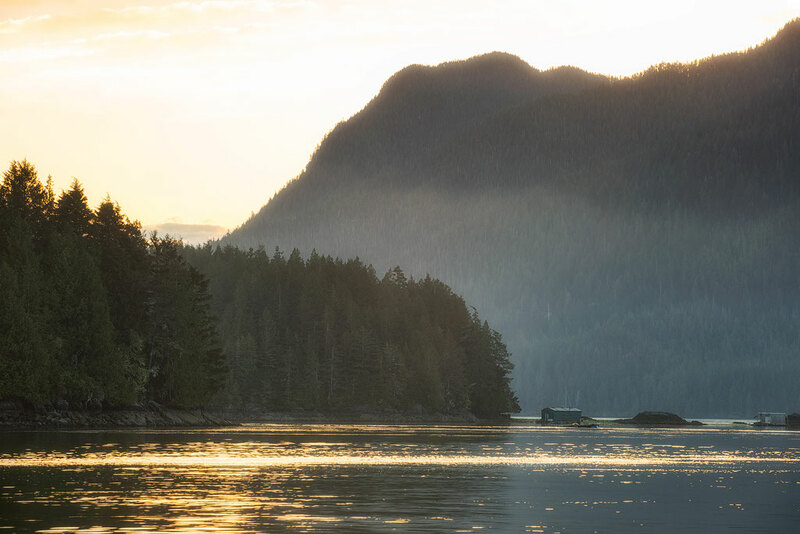 The most diverse park on this list, the Pacific Rim National Park contains lush temperate rainforest and small mountains but also has a pristine piece of coastline. 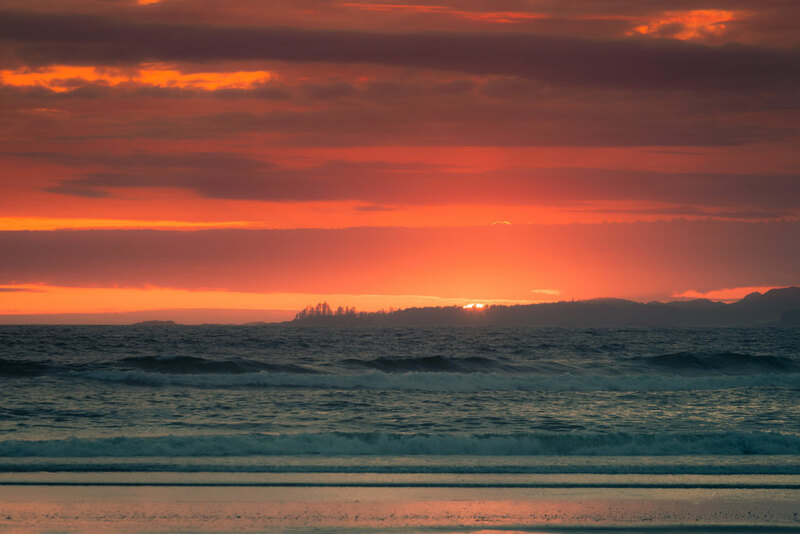 It hugs the coastline of the western shore of Vancouver Island. 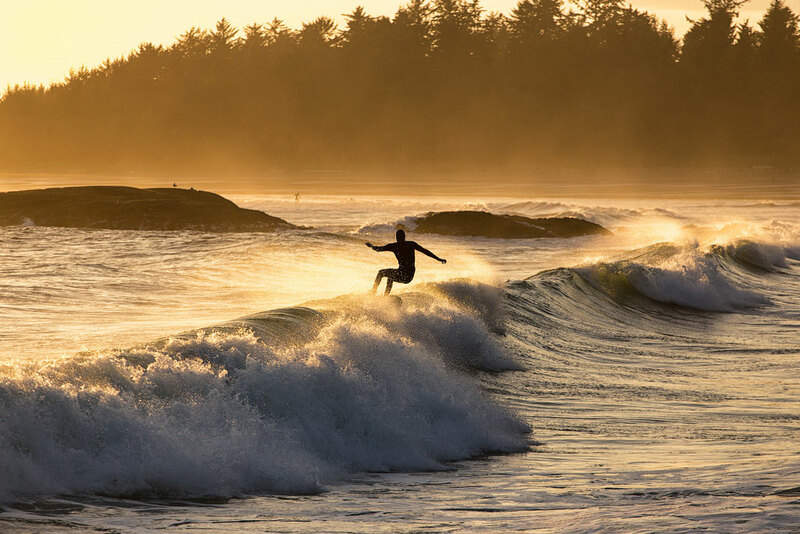 Tofino is a close by town that boasts a large amount of tourism but mainly shuts down during the winter season. The Broken Islands are located off the western coast of Vancouver Island in the Pacific Ocean but still within the reserve. 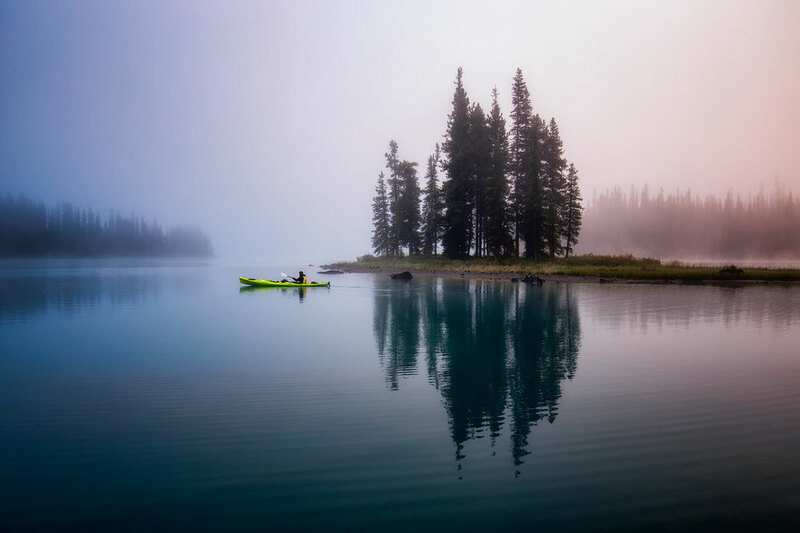 They are popular with kayakers and contain several campsites. 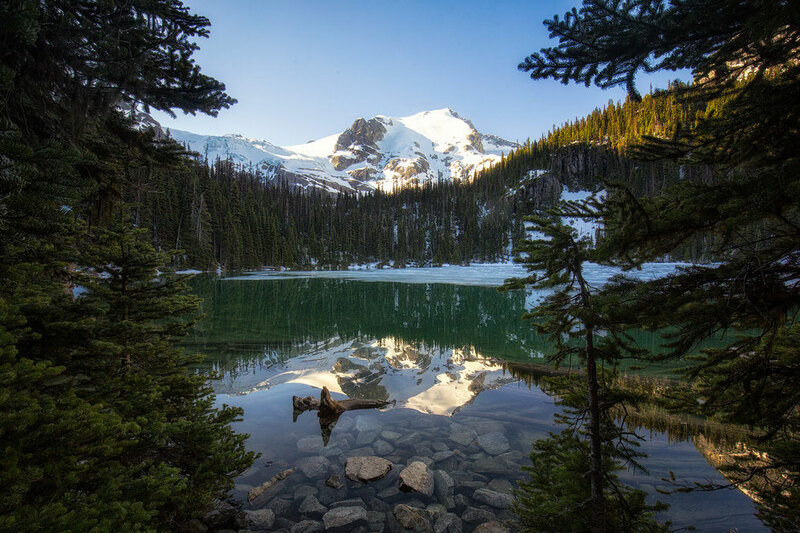 Close to Vancouver, 30 minutes north of the Sea to Sky Highway, the three distinct Joffre Lakes are a splendid hike to start, or finish, your vacation if you're driving between Vancouver and Calgary. The glacial lakes are fed by the Matier Glacier which is visible from the first lake, just a 5 minute walk from the car park. 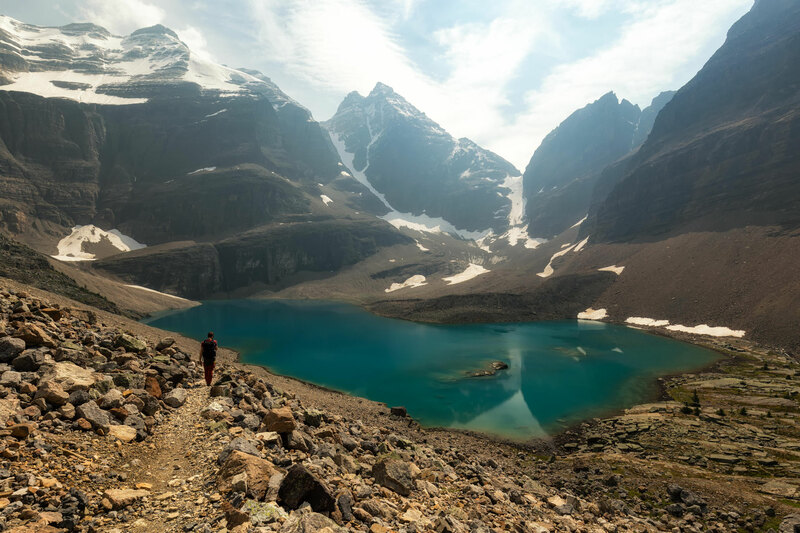 The recent 2017 upgrade to the trail makes the hike easier and a keen rambler can get to the highest lake and down again in 4 hours. North east of Vancouver, and just off the Sea to Sky highway, Garibaldi Provincial Park is accessible from 5 trailheads. The two most popular are the Diamond Head which leads to the Elfin Lakes Shelter or the The Black Tusk Trailhead which leads to Panorama Ridge and Garibaldi Lake. I was lucky enough to do a scenic flight over the park during the late afternoon and managed to captured some magical light conditions. Currently my favourite park in the Canadian Rockies, I simply can’t get enough of this place. 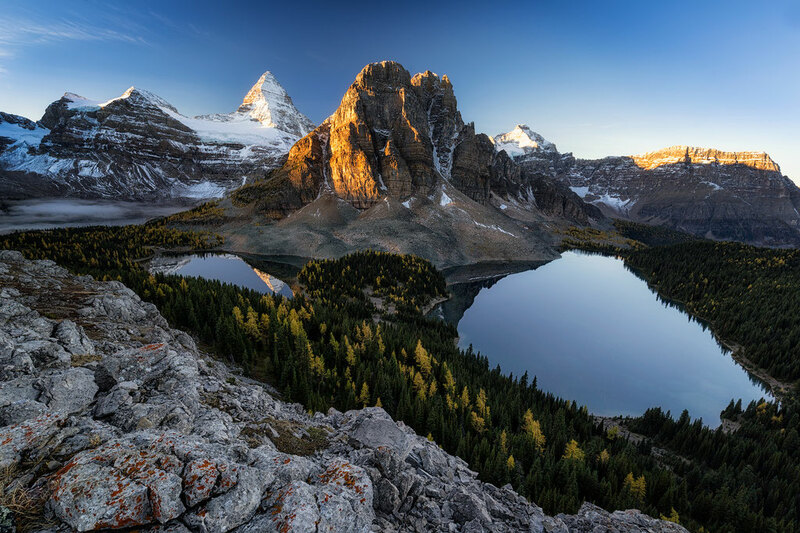 Located between Banff National Park and Kananaskis Country, Mount Assiniboine is accessible by foot, horse or by helicopter. 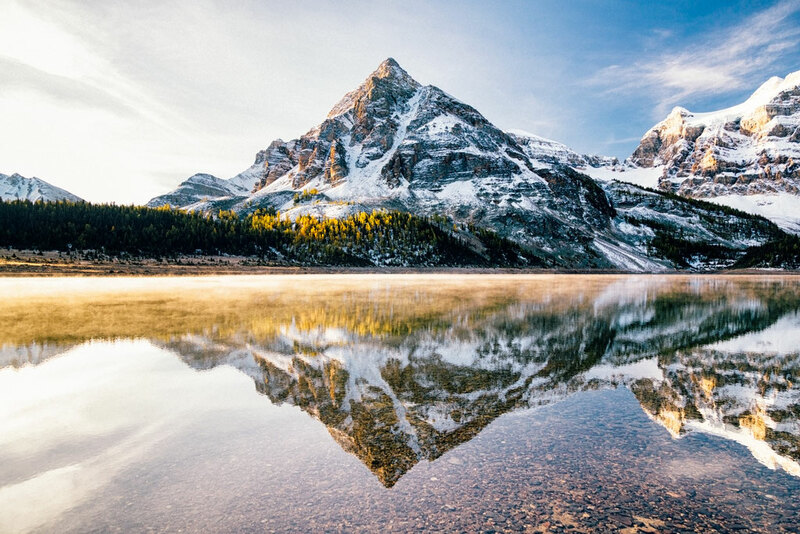 Nicknamed the Matterhorn of the Canadian Rockies, Mount Assiniboine is a triangular based pyramid shaped peak. One of my favourite attributes of the park is that there is not a single drivable road there. Highlights: Lake Magog, Lake Og, The Niblet & Nub Peak, The Wonder Pass, Sunshine Meadows, The Assiniboine Lodge. 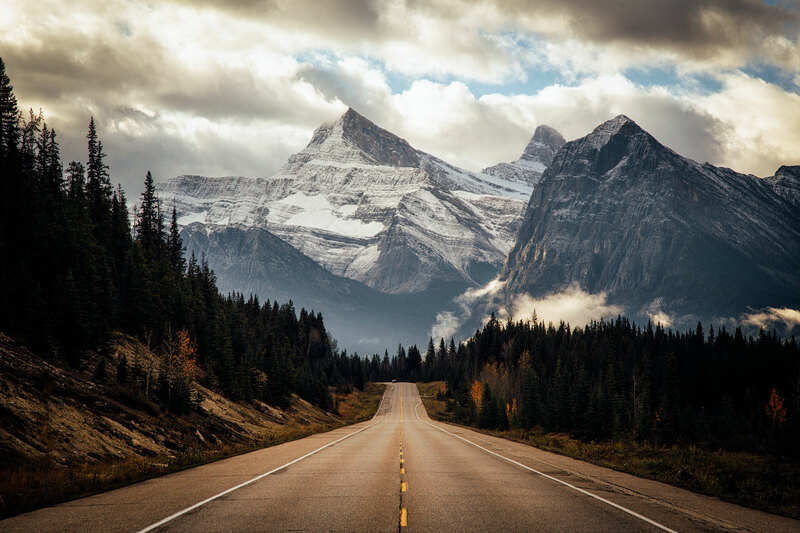 The largest national park in the Canadian Rockies, and home to the northern section of the Icefields Parkway, Jasper is also one of the 7 parks that make up the UNESCO world heritage site. Its size naturally means that it has a lot of interesting spots but its top attraction for me is its perseverance to be a dark sky reserve. 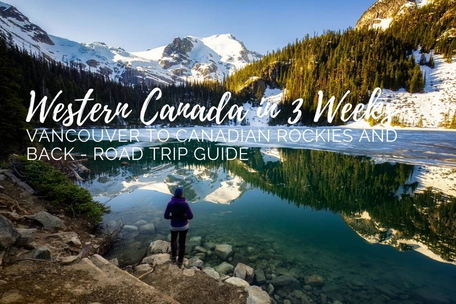 This means it’s one of the best places to see the stars, and the aurora borealis, in the Canadian Rockies. Hiking in Jasper National Park . All of the parks on this list have been protected due to their abundance of geographic features and high wildlife content. If you’re a wildlife enthusiast then many of the best places to photograph wildlife in the Canadian Rockies lie inside their borders. If you decide to visit some, or all, of these great parks then please be respectful. 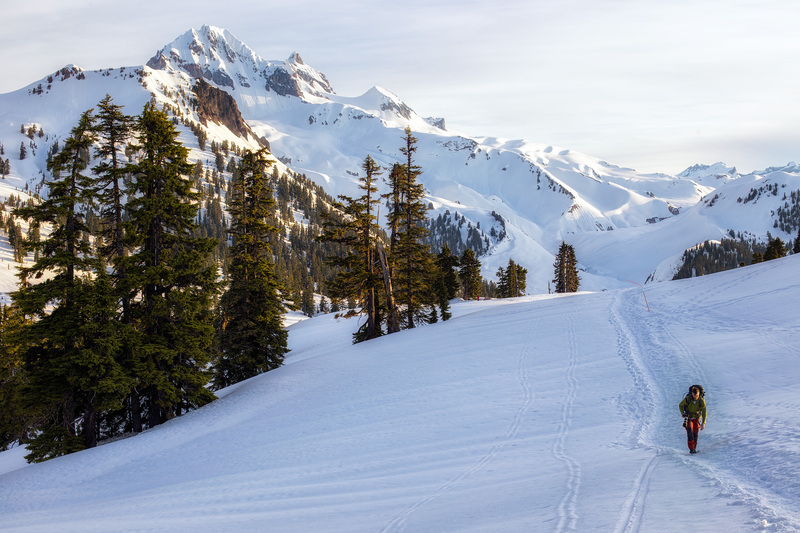 Stay on the designated trails, do not litter and never feed any animals. Fines for doing so can be as high as CAD25,000$. 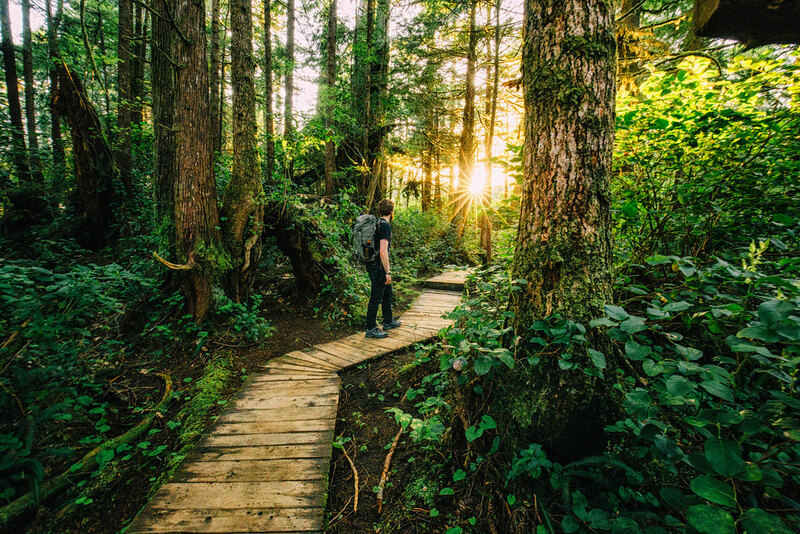 The Canadian, and both the Albertan and British Columbian, governments have worked wonders with their park system and although it still isn’t 100% perfect, it’s something that all Canadians, and environmentalists worldwide, should be proud of. They’re a very large step in the right direction.